Pseudanthias bimaculatus (Smith 1955), the Twin or Two-Spot Anthias. To four and a half inches in length. Distributed in the Indo-West Pacific, eastern Africa to Indonesia. 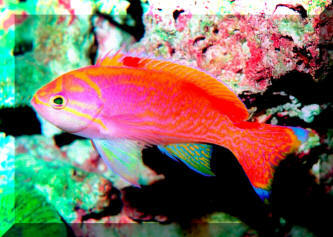 A male in captivity under metal halides. A very shy species. 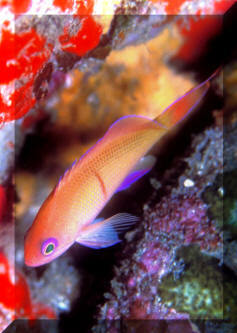 Pseudanthias hiva Randall & Pyle 2001. Males to 10 cm. females to six. Eastern-Central Pacific; Marquesas. 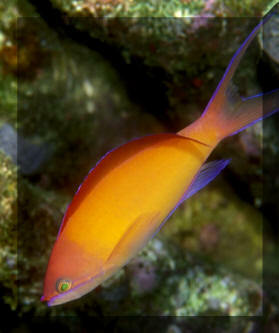 Nuka Hiva pic of a female showing the definitive orange-red bar below the eighth dorsal fin ray. 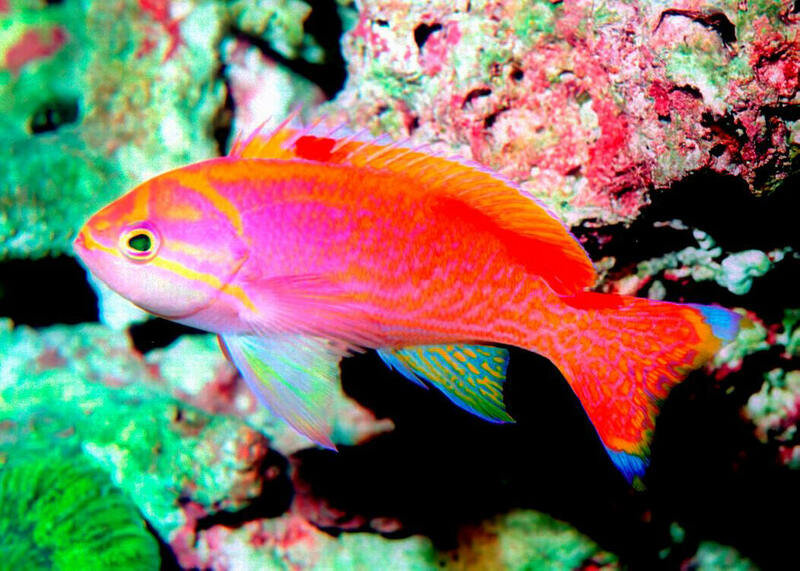 Pseudanthias ignitus Randall & Lubbock 1981, the Flame Anthias. Indian Ocean; Maldives, Similan Islands. To three inches in length. Not often (enough) seen in the west. Sentosa (Singapore) Aq. pic. 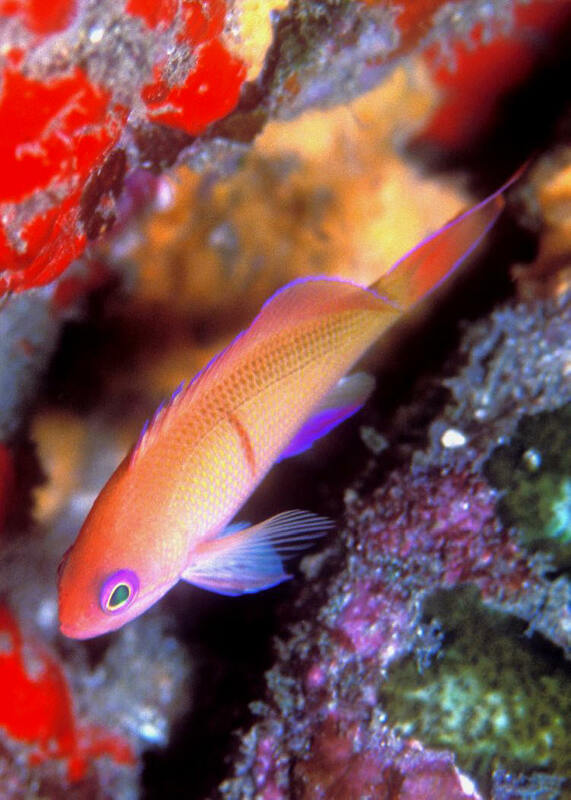 Pseudanthias lori (Lubbock & Randall 1976), Lori's Anthias. To five inches in length. Indo-Pacific. Best kept in a small group, as they are here at a marine livestock wholesale operation. One out at the Interzoo show in 08.